This is the silver wearers go-to earring for all occasions. Hand-antiqued, each pair is original with slight variations. Pairs perfectly well with your favorite statement necklace, or all the wonderful layering pieces this season, or simply elevate your jeans and tee everyday look. 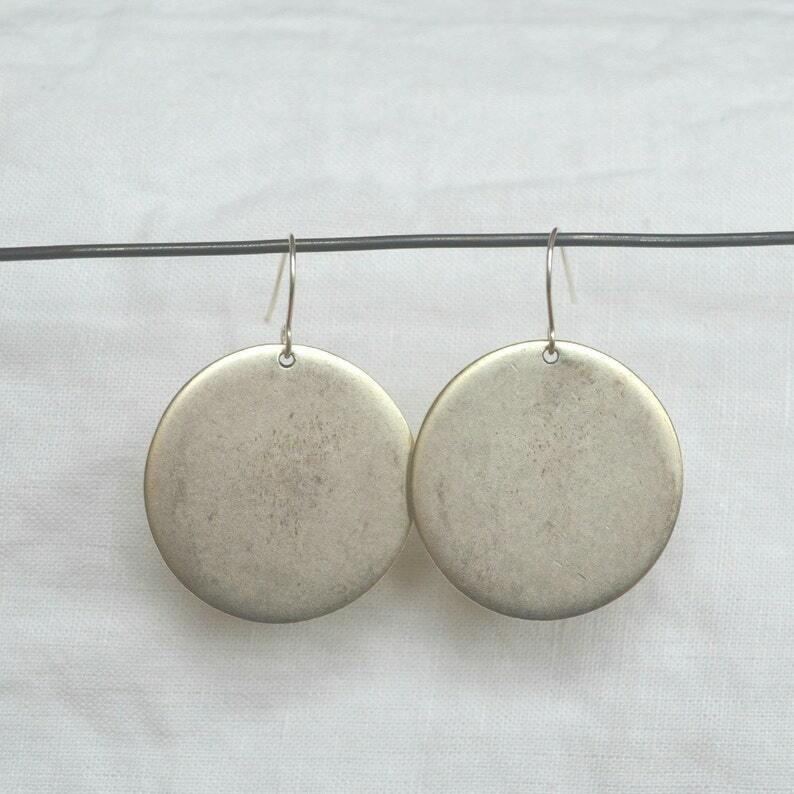 Sterling silver plated medallion with silver plated french ear wire. Earring length is 1.625 inches. Handstamped "K" hallmark tag on back.